For the second episode of our pre-recorded theatrical reviews, we’re allowing Sergio to escape the rigors of podcasting during finals with a review of July’s THE FIRST PURGE! Has Blumhouse knocked it out of the park yet again? Can this Purge compare with the previous three? And is Marisa Tomei even IN this movie? The answers to all these questions and more can be found in this episode! For this month, while Sergio is away working on finals, we’ll be running a series of episodes we recorded over the year as we watched the hot hit movies of the day! 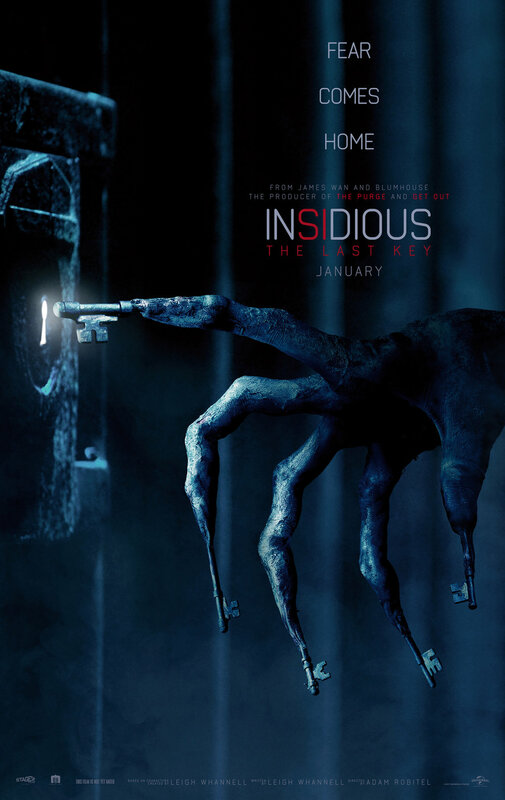 This week, we’re beginning with Adam Robitel’s INSIDIOUS: THE LAST KEY! Join us as we review the film, discuss some of the more confusing character moments, and basically only talk about Javier Botet. For the final episode of the year, it’s only appropriate that we’re covering one of the best horror movies of the year: HAPPY DEATH DAY! Join us as we review the film, we play a fun game about obscure 2017 horror features, Brennan goes off on a monologue about slasher twists, and Sergio pulls a surprising monthly ranking out of his hat!